OMNTEC remote annunciators are easy to install, reliable, cost-effective and capable of being tested remotely. The RAS-series remote annunciators add audible and visible high-level alarms to OMNTEC’s automatic tank-gauging system. The RAS-series interfaces only with OMNTEC’s OEL8000 and OEL8000II. 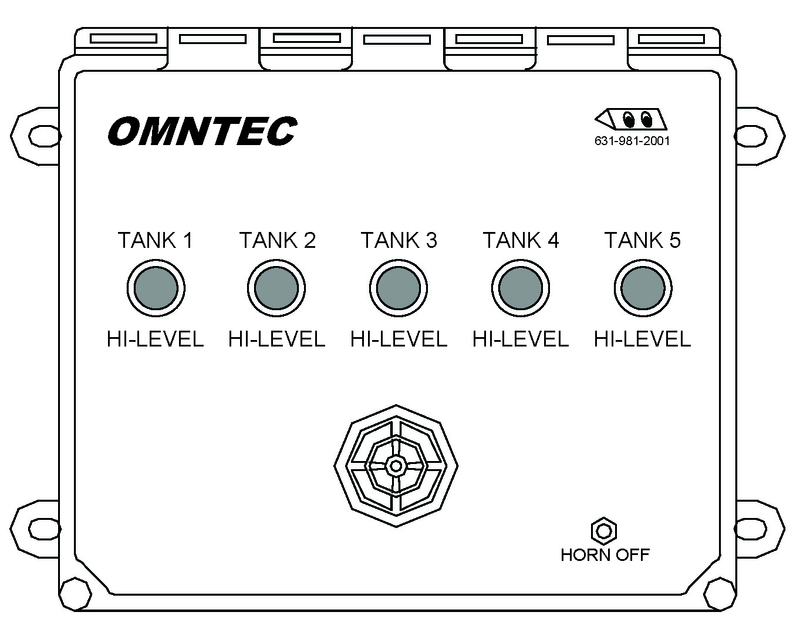 The primary application of OMNTEC remote annunciators is as a cautionary audio-visual alarm to signal a filling operator that a tank is approaching an overfill condition. A major benefit of all OMNTEC remote annunciators is that they need no external power source. This feature ensures cost-effective and time-saving installations. RAS-series visual annunciators are LED indicators rated MTBF 11 years. The annunciators’ audible alarm is a low-voltage, 95-decibel piezoelectric alarm. The RAS-series allows a filling operator to acknowledge the alarm condition with a switch on the remote annunciator. It is user-programmable for high-level, caution and time-out parameters. The RAS-NYS offers a remote-annunciator option for conditions when distance or background noise requires a high-intensity, high-decibel remote annunciator. The visual indicator of the RAS-NYS is a flashing strobe beacon. The audible alarm is a 110-decibel piezoelectric horn. OMNTEC remote annunciators have a NEMA-4X rating, which indicates a weather-proof, corrosion-resistant product. Ruggedly constructed, these remote annunciators provide reliable and cost-effective performance. The RAS Series remote annunicator’s ability to be tested remotely is as easy as pressing a button on the RAS remote without having to return to the OEL8000II console. Testing is achieved by pressing the silence button on the RAS remote. If the horn sounds and the light(s) flash your RAS is in good working order. *Available on firmware version 4.50 and higher.